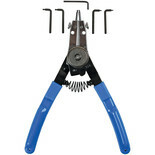 Made from heat treated Chrome Vanadium Steel. 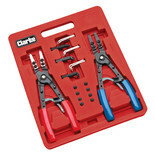 A handy circlip plier set, comprising of 1 set of handles with 4 interchangeable tips. 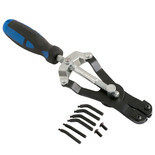 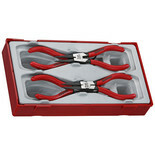 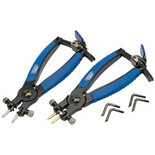 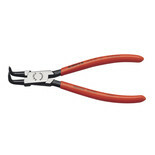 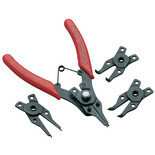 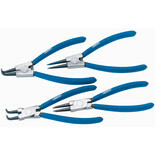 Professional quality tools at a great price, these circlip pliers are an invaluable addition to your tool kit. 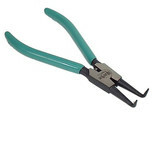 Professional quality external circlip pliers manufactured from tough chrome vanadium steel tempered and hardened for long term wear resistance. 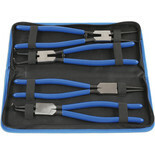 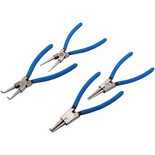 Professional Quality, comprising four commonly used circlip pliers. 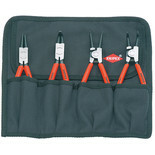 Supplied with in canvas roll bag.